After threatening for years to pull the plug on the Offshore Voluntary Disclosure Program (OVDP), the IRS has finally followed though. Effective September 28th, 2018, the OVDP will be officially gone. According to the IRS' FAQs, this means that a complete Offshore Voluntary Disclosure conforming to the requirements of FAQ 24 must be received or postmarked by September 28, 2018. Thus, a pre-clearance request by that date will NOT be sufficient. 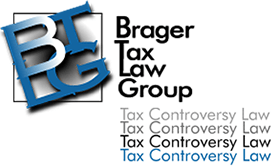 FAQ 24 requires the Offshore Voluntary Disclosure Letter (IRS Form 14457) and attachment (IRS Form 14454). This will entail gathering information regarding bank account numbers, and estimates of account balances. It will also necessitate obtaining information regarding transfers between offshore accounts, as well as transfers to domestic accounts. Since the attachment requires answers to 15 questions, many of them with multiple subparts, clients and their tax attorneys will need to allow substantial time to put together the package. The attachment must be completed for each separate financial account. The IRS has noted that it will not accept partial or incomplete submissions. Notably, FAQ 24 does not require the submission of amended tax returns or payment. The IRS move to shutdown OVDP should be read together with public statements by the IRS/Department of Justice that they are planning to ask for increased sentences, that is jail time for tax crimes. We are urging taxpayers who currently have or have had significant offshore accounts in the past to make an appointment to discuss whether they qualify for other alternatives, and if not, whether they should immediately start gathering their records to prepare an OVDP submission. For your other alternatives with OVDP gone, please check out Part 2 of this video.